We undertake policy-focused, applied, and academic research on topics at the intersection of internet and society, driven by concerns of human rights and public interest. Our teams are based in Bangalore and Delhi. Sunil is the Executive Director of CIS. He is also a social entrepreneur and Free Software advocate. He founded Mahiti in 1998 which aims to reduce the cost and complexity of Information and Communication Technology for the Voluntary Sector by using Free Software. Today, Mahiti employs more than 50 engineers and Sunil continues to serve on the board as a board member. Sunil was elected an Ashoka fellow in 1999 to 'explore the democratic potential of the Internet' and was granted a Sarai FLOSS fellowship in 2003. Between June 2004 and June 2007, he managed the International Open Source Network, a project of the UNDP's Asia-Pacific Development Information Programme serving 42 countries in the Asia-Pacific region. Between September 2007 and June 2008, he also managed ENRAP, an electronic network of International Fund for Agricultural Development projects in the Asia-Pacific facilitated and co-funded by International Development Research Centre, Canada. Read Sunil's detailed resume here. Elonnai is Chief Operating Officer at the CIS. Elonnai has graduated from the University of Toronto where she studied international development and political science. Elonnai leads the privacy, surveillance, and big data work at the Centre and has also written extensively on issues pertaining to intermediary liability, digital rights, identity, cyber security and DNA profiling. Elonnai has also worked as a consultant with the Open Society Foundations and with the Ranking Digital Rights project. David Kessler, Sue Ross, and Elonnai Hickok. NLSIR. A Comparative Analysis of Indian Privacy Law and the Asia Pacific Economic Cooperation Cross Border Privacy Rules. Swaraj is a Policy Director at The Centre for Internet and Society (CIS), India, where he leads the organisation's work on issues in 'Freedom of Expression Online' and on certain framework issues of Internet Governance. Prior to CIS, he was the EVP at IDIA Charitable Trust, a pan-India organisation that works on solving the diversity deficit in top Indian law schools by helping students from marginalised backgrounds get into, and through, the top law schools. He has also served for several years as an analyst and chief editor at SpicyIP.com, one of the world's leading Intellectual Property blogs. His areas of interest include spaces where technology and society interact, especially where there are questions of access and inclusion. He has degrees in law from Nalsar University of Law, Hyderabad, and the University of California, Berkeley. As a Director at the CIS, I co-lead the [email protected] programme and contribute to academic and public policy research on access to knowledge, data governance, and digital economy. My own research focuses at the intersections of media technologies and political economy. I am also keenly interested in computational techniques in arts, humanities, and social research, and methodological questions thereof. I studied economics in Visva-Bharati, Shantiniketan, and in Jawaharlal Nehru University, Delhi. I was a member of the founding team at the MOD Institute, Bangalore; led a data analysis and visualisation project at the Azim Premji University, Bangalore; and was a Research Associate at the Sarai programme, Centre for the Study of Developing Societies, Delhi. Amber is a Senior Programme Manager at the CIS. He works on issues surrounding privacy, big data, and cyber security. Amber is interested in the impact of emerging technologies like artificial intelligence and learning algorithms on existing legal frameworks, and how they need to evolve in response. He has studied humanities and law at National Law School of India University, Bangalore. Anubha is a Senior Programme Manager at the CIS. She has contributed to the Pervasive Technologies Project, works on issues involving intellectual property law and openness, and co-leads the Regulatory Practices Lab. She is a lawyer by training. Sneha is the Programme Manager of the [email protected] programme at the CIS. Her training is in Humanities, and she has previously worked in the field of higher education. She is presently engaged with a project on mapping the emergent field of Digital Humanities in India, and is also interested in questions on the nature of textuality, reading and writing practices in the digital sphere. Aayush is a policy offer at CIS. He is currently engaged in exploring and contributing to emerging conversations around the future of work as well as cybersecurity. He has previously worked as a labour lawyer post his graduation in law and humanities from the National University of Juridical Sciences, Kolkata. Akriti is a Policy Officer at CIS where she works on issues of Internet governance and Freedom of speech in the digital domain. She is a lawyer by training, having completed her Masters in International Law from Maastricht University, Netherlands and undergraduation from Symbiosis Law School, India. She does not tweet but can be reached at [email protected]. Ambika is a Policy Officer at CIS, working on gender-based research in areas such as the future of work, privacy, and feminist research methodology. Arindrajit is a Policy Officer at the Centre for Internet & Society with the Cyber Security Project. His primary interests lie in the fields of International Relations and Public Law. His work at CIS focuses largely on developing normative frameworks for the regulation of emerging technologies internationally and conceptualizing the strategic role that India and other emerging economies can play in this space. He is a lawyer by training and holds a BA,LLB (Hons) degree from the National University of Juridical Sciences (NUJS), Kolkata and a LLM in Public International Law from the University of Cambridge, UK. Gurshabad is a Policy Officer at CIS. He interested in policy challenges in Internet Governance, online freedom of expression, and advancing public interest in standards bodies such as the Internet Engineering Task Force (IETF). Khetrimayum Monish Singh is a Programme Officer at the CIS. He works on data governance and is interested in questions around data-driven community experiences and practices, specifically with regard to access, security, and identity. He has submitted his doctoral thesis at Jawaharlal Nehru University, New Delhi. Pranav is a Policy Officer at CIS. His work at CIS is primarily centred on Artificial Intelligence research, and research on issues surrounding Privacy, Cyber-security, and the Future of Work. Saumyaa works as a designer and researcher. She creates visualisations and infographics to communicate research produced at CIS. She also works on critically examining the role of design in digital products and services, and in applying design for issues such as privacy, security, access to knowledge, and accessibility. While working for a graphic design studio, she was involved in creating information maps for historical monuments in Delhi. She is a Communication Design graduate from the National Institute of Fashion Technology, Delhi, and has a master’s degree in Social Design from Ambedkar University Delhi. Her interests include design history, design criticism, and cultural studies. Shweta is a Policy Officer at the Centre for Internet and Society. Her areas of work and interest include Artificial Intelligence, Privacy and Intellectual Property Rights and India’s policies surrounding these issues. Prior to CIS she was a Research Associate to the (DIPP) Intellectual Property Rights Chair at IIT Madras. She has an LLM in Public International Law with a special focus on International Human Rights Law, Cyberspace Law and Climate Change Law and Policy. Karan is a Policy Officer at the Centre for Internet and Society—interested in exploring and contributing to issues pertaining to the areas of digital security and privacy. Karan is a practitioner of responsible vulnerability disclosure. Ranjit is a PhD candidate at the Department of Science and Technology Studies, Cornell University. His dissertation project, Seeing Like an Infrastructure, examines the legal, administrative, and technological challenges in the implementation of India’s biometrics-based national identification project, Aadhaar. 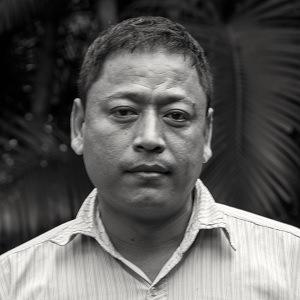 He is also involved in the Life of a Tuple project on the conceptualization, design, and implementation of an updated version of the National Register of Citizens (NRC) in Assam, India. Both projects are geared towards elucidating the rapidly changing understandings, practices, and evaluations of the state-citizen relationship mediated by information infrastructures in India. Ananth is a Programme Associate (Technical skills and metrics) with the Access To Knowledge team at the Centre for Internet and Society. He is a MSc student at Christ University, specialising in Mathematics. Gopala is Kannada Wikimedian and a Community Advocate with the Access To Knowledge team at the CIS. Pavan is a Community Advocate and anchor for Telugu language, associated with the Access to Knowledge team at the CIS. Sailesh is a student and pursuing his Bachelor's degree in Mechanical Engineering at KIIT University. He joined Wikipedia as a contributor at the age of 15 in 2012 and continuing the journey. Since December 2015, he is a Program Associate with the Access To Knowledge team at the CIS. Subodh is a Community Advocate with the Access To Knowledge team at the CIS. Ajoy is an Administrator at the CIS. He manages all the events organised by CIS including hotel and travel bookings, does the liasoning with government offices and Members of Parliament, etc. Ajoy also works as a part-time lawyer doing property documentation. Medini is a Senior Accounts Officer at the Centre for Internet and Society. Medini began her work as an accountant in 1992. After completing her Bachelors in Commerce from Andhra Pradesh S V University, she procured a Diploma in Accounts and began working with a Chartered Accountant to learn the ropes of her profession. For the past fifteen years she has worked with Chartered Accountants, companies and NGOs in handling company and organisation’s accounts. In 2003, she joined the Accounts team of Partners in Child Development, an EveryChild partner. In 2004, she joined EveryChild India as the Head Office Accountant. Since then she has been managing the organisation’s accounts and streamlining into handling the organisation’s partners project accounts. Having been with EveryChild India since its inception, Medini has seen the organisation grow from infancy into adulthood. A mother of two, Medini loves to play with her children and make handicraft items in her free time. Nima has been in charge of security at CIS since 2015. He maintains the daily staff register and provides assistance to the administration team. Prior to CIS, Nima worked as a security person at a car parking solution. Nisha Saral is the Delhi office Administrator. She handles the accounts and all events organised by CIS at Delhi. She has a working experience of more than 12 years in various NGO’s. She is currently pursuing MBA from Narsee Monji University. Royson is the Office Assistant in the Bangalore office. He assists the administration department in organising events, takes videos of the events, uploads them to the CIS website, Blip TV, YouTube, etc.